Today Kayla is on day 55 of her pregnancy and only have a week left until she is expected to give birth to her puppies. We went to the vetclinic to take an X-ray of her belly to see how many puppies she is hiding in there. 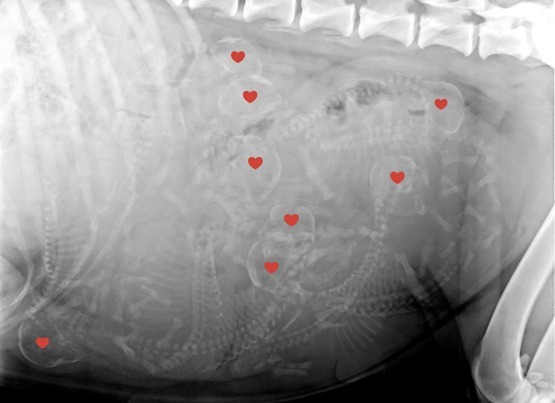 And just as I guessed after the ultrasound, there are 8 puppies! New photos of Kayla and her big belly can be found in the Pregnancy & Puppy Diary.